On a beautiful Friday, Matt and I went to Bemidji. After a nice lunch and a couple of stops we met Terry for an evening of bobber fishing for bluegills. The first choice was Gull Lake which has been spotty this year, but has had a couple of good reports lately. We were fishing a little before 5:00 p.m. and for the first hour or so we were sure that we had picked the wrong lake. After trying five or six spots we finally found some and for the next couple of hours the action was good. 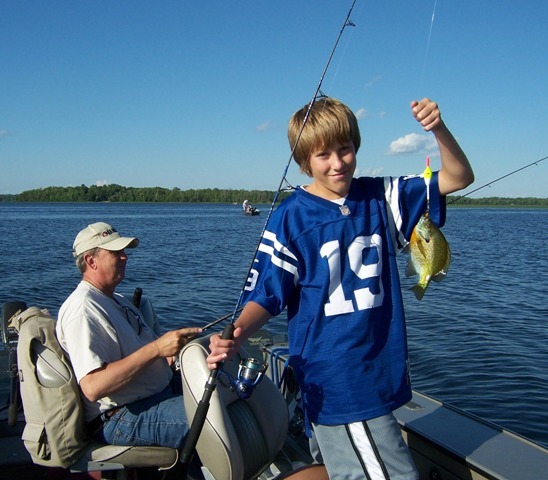 We kept ten nice bluegills, all 9″-10″ and released a bunch, both big and little. 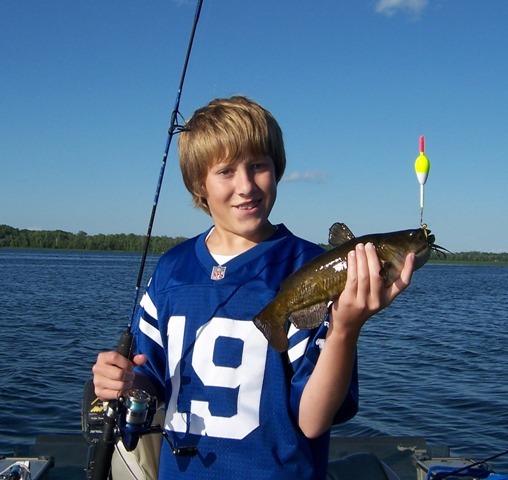 Matt is working on a list of Minnesota species and added bluegill, pumpkinseed and bullhead to it.